One of the most highly-anticipated events of the entire 2016 election cycle recently came to a TV near you: the first presidential debate. Since we are now more than one week out of the most viewed debate in history, nearly every point has been highly analyzed, except for one glaringly false statement that both Mr. Trump and Secretary Clinton stated as the gospel truth. When asked about gun control, both of the major party candidates stated that they would support legislation that would not allow people on the Transportation Security Administration’s no-fly list to purchase firearms. At first glance, this is largely a common sense policy. Your average Joe will look at the no-fly list as it was originally intended: a list of people that are so potentially dangerous to Americans, at home and abroad, that they can’t be allowed on a plane for fear that they will commit an act of terrorism. After all, why would the government protect the right of potential terrorists to bear arms that they might turn on the people of this nation? Because of its popularity, it made a lot of political sense for both candidates to support the “no-fly, no buy” policy. However, the very basis of this policy is incorrect. The issue is that the process for people to get on the no-fly list is murky at best. In fact, while researching my position before writing this column, I visited the TSA’s website in order to understand the process of how one can get on or off the list. The agency’s website merely states that the no-fly list is a subset of the Federal Bureau of Investigation’s terrorist watchlist. It offers a link to follow, but the link is broken and leads to an error page. Only by going to the FBI’s website directly and searching for the term “no-fly” can any results be rendered. And even then, the grand sum of the information is a few sentences that talk about the list in broad terms, with no process identified other than the fact that the FBI has the right to put anyone who they view as a threat on the list. Under the current policies of the list, the TSA can pick a person to be included on the no-fly list without giving any notice to the person in question. The list itself is not public domain. The only way to see if a person is on the list is to see if they can successfully fly in a plane. The FBI does not need to have much of a reason or any in-depth justification for picking that person beyond the potential for the individual to commit an act of terrorism. I wonder what acts of terror Evo Morales, the democratic socialist president of Bolivia plans to commit against America. An obvious critique of the no-fly list is that the post-September 11th policy targets young, Middle-Eastern men. While the case to concentrate general law enforcement in places where groups like ISIL recruit young Americans or breed their ideology on national soil can be made, there is one key difference: at least in theory, there is due process when a member of the police is motivated to arrest someone on the basis of suspicions of potential terrorist activity. There is no such due process present in the no-fly list. You are simply put on that list without conviction, without a trial and without any notice. It is absolutely ludicrous that someone’s ability to fly on a plane is taken away on such a subjective basis, let alone their God-given right to protect themselves against a tyrannical government with firearms. The people on the no-fly list are not being arrested for any reason. They are not being charged with any crime. And yet, under the No-Fly, No-Buy legislation, their rights would be taken away on far less than those two basises. This is not even to mention the fact that the government is the body who puts names on the no-fly list, and the Second Amendment of the Constitution specifically protects the right of citizens of the state to rise up against the state if it oversteps its bounds. Policy based off a list as fluid as the no-fly list creates a dangerous and slippery slope which can lead to a government blacklist against any person who wants to own a firearm. Both Secretary Hillary Clinton and Mr. Donald Trump refuse to acknowledge the inherent flaw in the No-Fly, No-Buy legislation. The bottom line is that more centralized power for the federal government in the form of No-Fly, No-Buy policies is not the answer to ending the senseless deaths of Americans due to dangerous people. 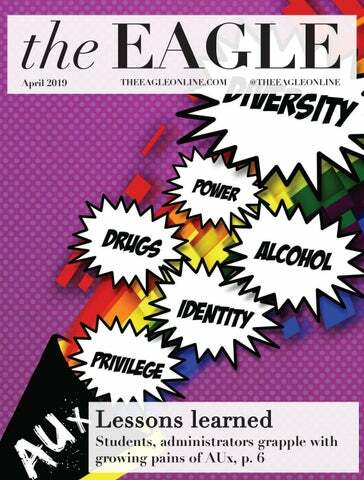 Annamarie Rienzi is a junior in the School of Public Affairs and a columnist for The Eagle.